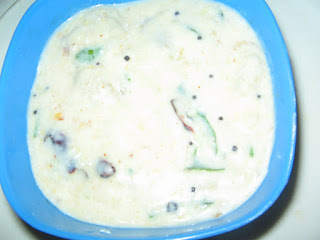 Vankaya perugu pachhadi, is also a tastier dish which can be prepared as side dish.Its creamy texture and soft taste without spicyness makes its taste yummy even for children n also elders..
First of all wash brinjals,and apply 2 to 3 drops oil on the surface of it,and roast it directly on the gas burner top till it is fully roasted and the skin turned black, or else microwave the brinjals for 20 to 30 min in a microwave safe plate.Let it cool. 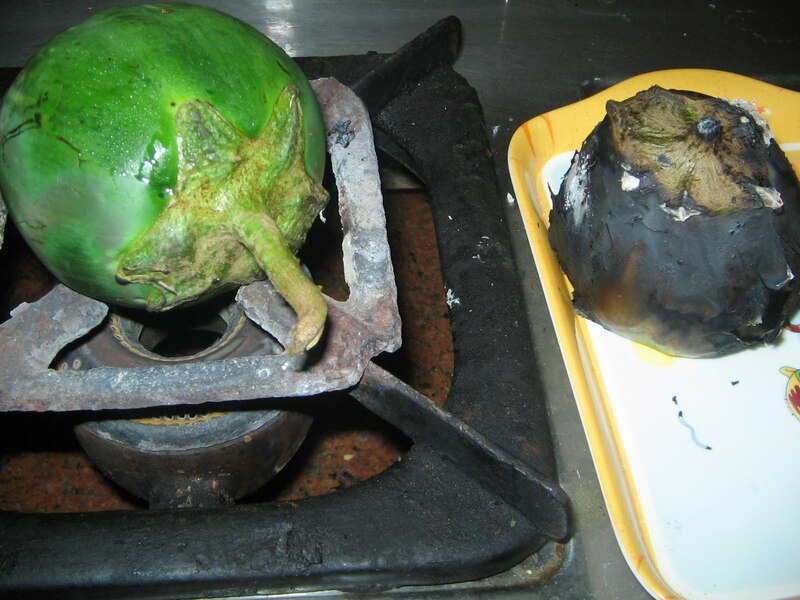 Peel off the burnt skin(upper layer),and check thoroughly,and mash the mixture with salt ,with a spatula.Keep it aside. 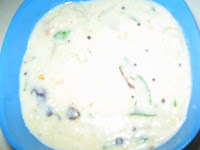 Place a pan on the stove,add 1 tbsp of oil,and after it is heated,add the seasoning materials,mustard,methi seeds,red chilli slits ,hing and toss well. 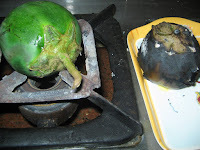 After it stops popping add green chilli slits ,curry leaves saute and switch off the stove. After it is cool,add the brinjal mixture,seasoning,mix well and add in to the curds.Adjust the salt,and garnish with kothmeer.. It tastes much with steamed rice and ghee. if u dont mind, disable this word verification.. it is annoying! I loved this recipe! Yumm! 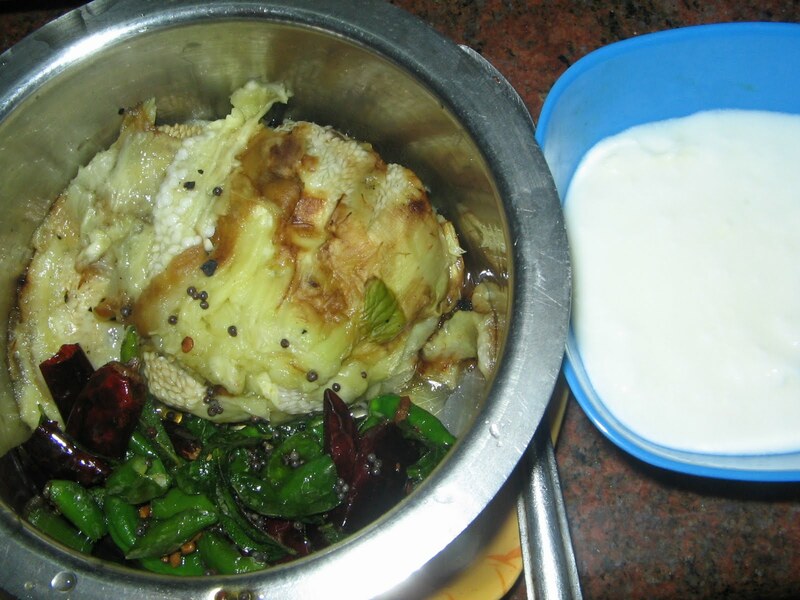 I love this pachadi and I prepare it often .Yummy! !